The School of Information Studies (iSchool) has been selected to host an event as part of the International Space Apps Challenege, sponsored by the National Aeronautics and Space Administration. The Space Apps Challenge, entering its second year, will take place on April 20-21. The hackathon-style event brings together innovators in participating cities all over the globe, and focuses on exploring the challenges and solutions related to both space exploration and social need. Thirty participating cities worldwide, including Syracuse, were officially announced recently, with more sites to be added in the coming weeks. Last year’s event brought together participants in more than 25 global locations, as well as the International Space Station. 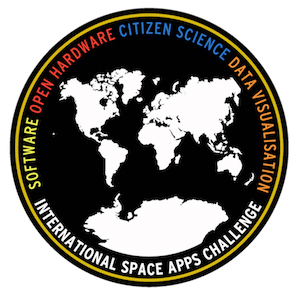 The 2012 Space Apps Challenge focused on developing tools in four categories: software, open hardware, citizen science and data visualization. Many of these elements will be incorporated into the 2013 event. While the Syracuse event is currently in its early planning stages, preparations are already under way to involve students, faculty and staff from across the University, as well as community members. The event will be hosted by the iSchool, and held in Hinds Hall. Members of the New Explorations in Information and Science (NEXIS) team are coordinating the event and related outreach efforts.